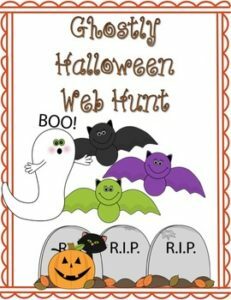 It’s the season of Halloween activities and this is the perfect activity to learn about the history of Halloween and enjoy some online activities including ghostly math Games. Students will visit the websites provided to answer the questions about the history of Halloween. Then, enjoy the fun online activities.